Volunteers have launched a new hub to support job-seekers, families and language students along 107th Avenue where they say basic services are desperately needed. Volunteers have launched an oasis of sorts in an Edmonton neighbourhood just north of downtown they describe as a "resource desert." Blocks away — but a world apart — from the thriving arena and surrounding Ice District, a new space known as Extend Community Resource Hub offers employment, family and language supports to local Indigenous, newcomers and long-time residents. 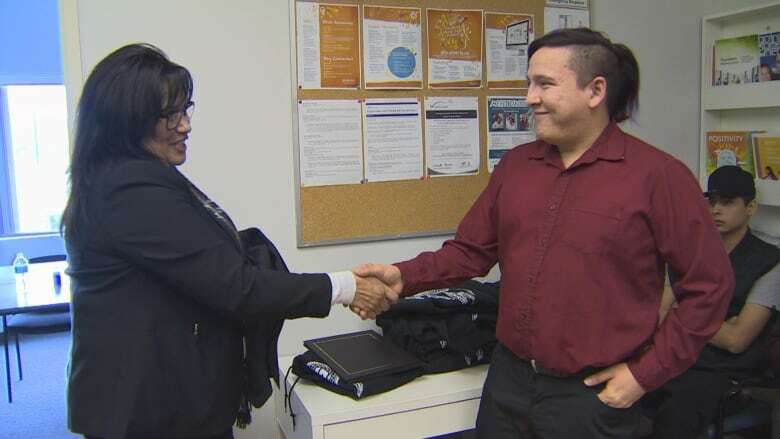 At a time when the federal government is spending billions on Indigenous programs, the group launched the grassroots initiative in mere months, with little government support or funding, to fill gaps in some basic services. Last Friday, the hub's second-floor office at the corner of 112th Street and 107th Avenue buzzed with residents, advocates, politicians and recruiters. They attended a ceremony for graduates of a new employment training course infused with First Nations traditions. "I'm so happy that we're actually offered a program like this, so grateful, " said graduate William Crane. "It's going to open so many doors for me." The course, run by Oteenow Employment & Training Society, is one of many services offered at the hub by various groups on the street known as the Avenue of Nations. "The way this works is we're getting service providers to extend their services to this area, which is considered a resource desert," said Ahmed Hussein, who taught the safety training portion of the course and spearheaded the overall initiative. In contrast to traditional service models often based on ethnicity, Hussein said the facility breaks down biases and fear by uniting groups who might otherwise keep to themselves. "We need a place that everyone comes together to share ideas and concepts," said Hussein. "I think we built a sense of a collective community here." It was an unexpected twist when Hussein and Oways Sandouka moved their safety training company, HSE Cloud, onto the avenue in 2016. The business partners said they soon felt like "accidental social workers" as unemployed residents turned up looking for jobs, employment services and help navigating various complicated bureaucratic requirements. And they kept coming. The partners, with support from friends, volunteered their time to help match people with jobs and write resumés. In a neighbourhood without a library, HSE Cloud offered free use of computers, plus breakfast. The partners advocated for those having trouble accessing support from Alberta Works — even paying for safety training courses out of their own pocket. They also discovered an already-existing makeshift social service network filling a gap where governments were falling short, they said. Owners at nearby Zuhur restaurant and Quick Trip Convenience were among those businesses which handed out tens of thousands of dollars in donations and loans to send job-seeking clients on courses so they could return to work. And in a neighbourhood without a shelter, Zuhur has also given out free clothes and many meals. In August HSE Cloud moved into a new space but continued to pay for rent and Wi-Fi and provide services and access to their computers. As they became better acquainted with the neighbourhood's unique economic barriers, they began lobbying municipal and provincial politicians to invest more in the neighbourhood and change policies holding people back. But that didn't stop them from pushing ahead on their own. Friday's graduation ceremony marked the second four-week skills and employment training course run out of the new space this year. Among those at the hub's launch last Friday, city Coun. Scott McKeen and government MLA David Shepherd praised Hussein for his efforts. McKeen recalled Hussein showing up unannounced at his campaign office last October. "He was really angry and felt that government was turning its back on 107th Avenue in particular, and there were a lot of adults here with nothing to do, no hope, no employment opportunities, and he said: 'They're getting angry,' " McKeen recalled..
"And I don't think he was going to leave if I hadn't agreed to do something concrete for him and I was happy to do that." With McKeen's help, they obtained $12,000 from the city to help cover rent at the Extend Community Resource Hub until June. 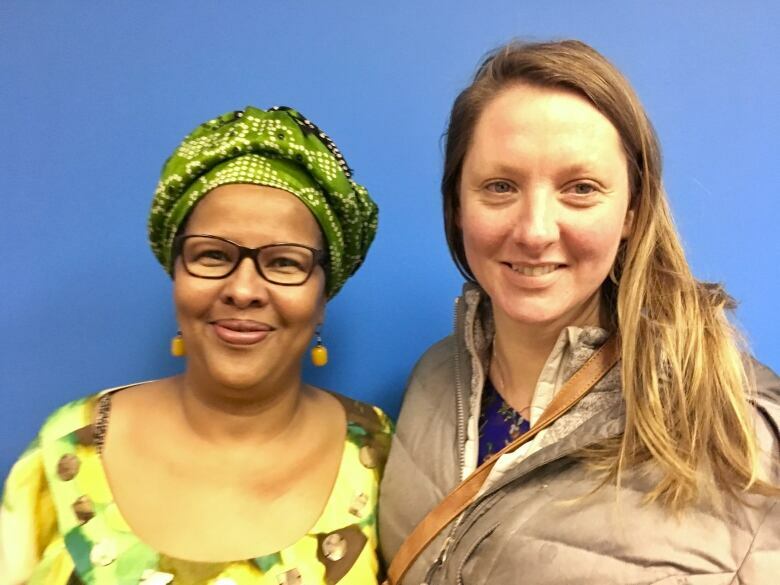 Naima Haile said the new hub means there is finally affordable office and workshop space for her organization McDougall Parents Group, which offers ESL classes, soccer and arts programs, and cooking classes for boys..
Kristi Lee also helps run the group. The mother and nurse has been advocating for improved services since moving to the neighbourhood four years ago. She said just as the hub now offers employment supports, the neighbourhood needs similar barrier-free services around public health and primary care, as well as green spaces and a library. The foundational services needed "to keep our kids developing in healthy ways" are "actually not functioning in this community space," Lee said. "Unless people are volunteering to do it themselves, often on their own dime — and this is often people who don't know where to find the resources— then it just doesn't happen," she said. 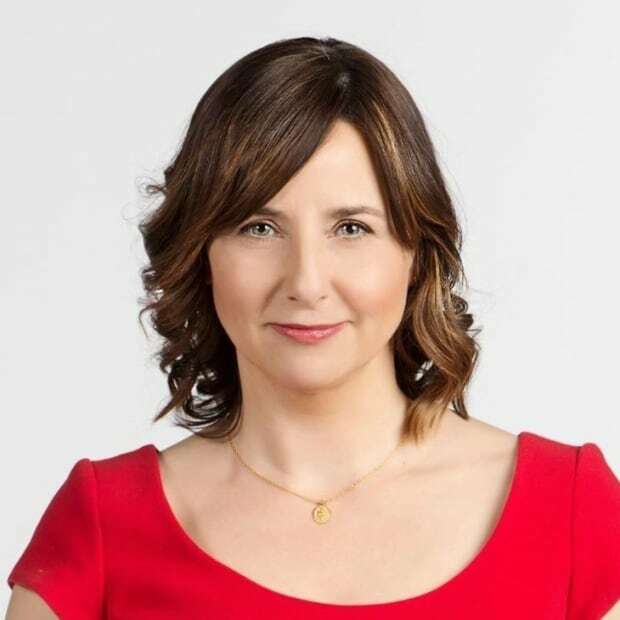 The province has not invested financially in the project but Shepherd expressed interest in looking at "how we can maybe take this model to other parts of the city. "This kind of community partnership, I think, is exactly the kind of model that we want to pursue," he said.